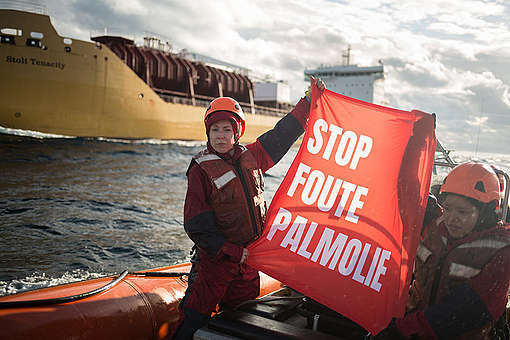 A lot has happened since Greenpeace has been fighting forest destruction for palm oil. Apple invented the iPhone. 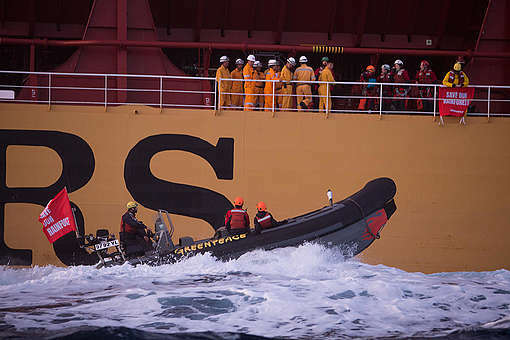 Shell went into – and pulled out of – the Arctic. Spain, Germany and France won the World Cup. We had some campaign wins too. Back in 2010, the makers of KitKat, Ritz crackers, Doritos, Dove and Colgate toothpaste promised that they’d stop doing business with forest destroyers – and would only buy palm oil from responsible companies that protected rainforests. 2010 was a really long time ago. 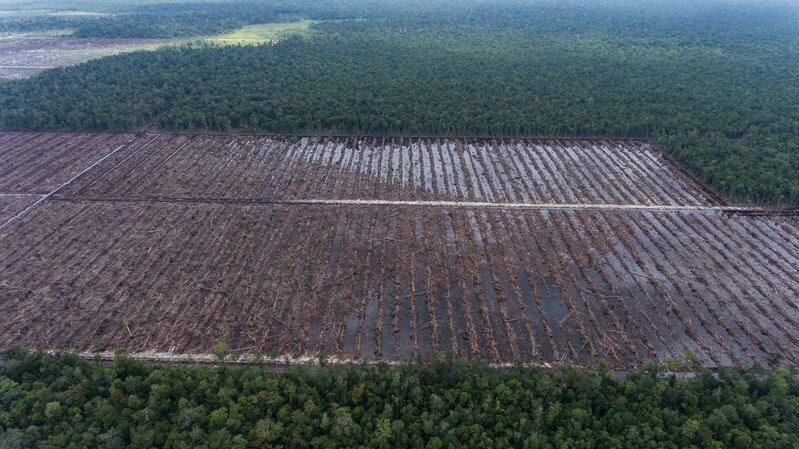 So why are Indonesia’s rainforests still getting destroyed by palm oil companies? Greenpeace has spent the better part of the last two years answering that question. 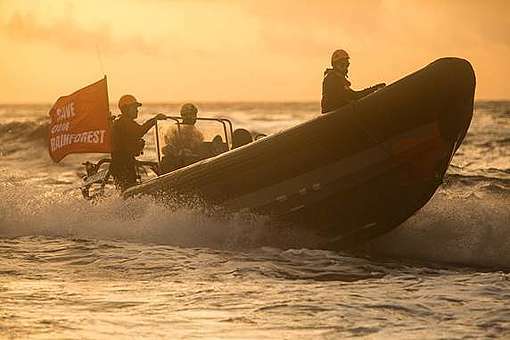 Our investigation took us all over the world: conference centres in Bali, Paris and Washington DC; rainforests in Sumatra, Papua and Borneo; corporate HQs in London, Tokyo, Kuala Lumpur, Jakarta, Paris and cities all over the USA. The answer is really simple. 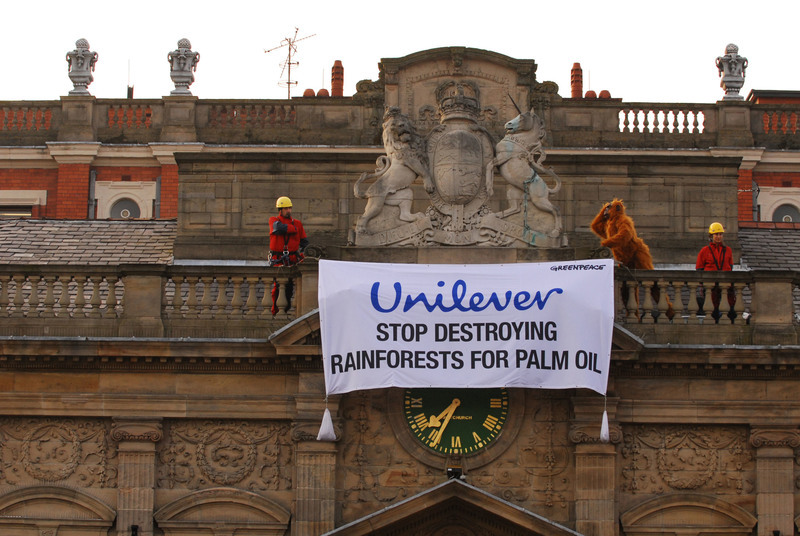 Despite promising not to buy palm oil from rainforest destroyers, the world’s biggest brands are, in fact, still buying palm oil from companies that destroy rainforests. Greenpeace researchers investigated the 25 most notorious palm oil companies in Southeast Asia. Our report, Final Countdown, lays out what we found. It isn’t easy reading. 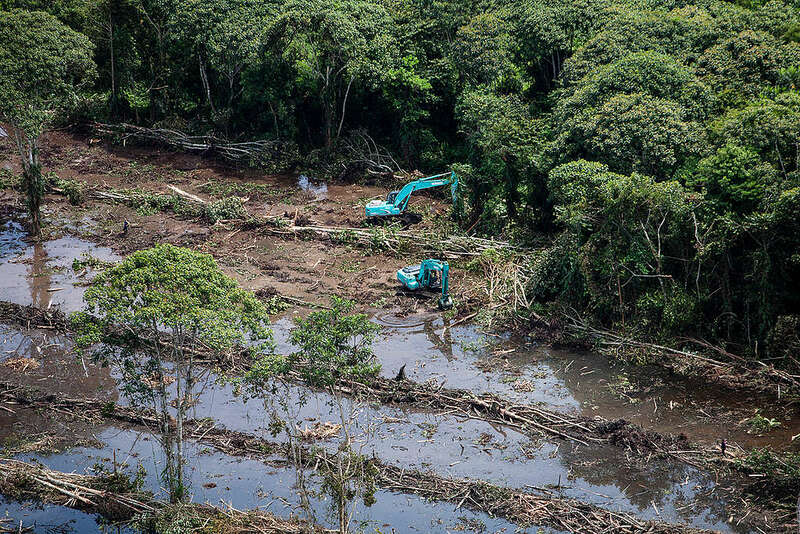 Between them, these 25 dirty companies had destroyed over 130,000 hectares of rainforest since 2015 – an area almost twice the size of Singapore. It isn’t even just forest destruction. We also documented worker exploitation, conflicts with communities, illegal deforestation, development without permits, plantation development in areas zoned for protection and forest fires linked to land clearance. But it gets worse – because these are the companies big brands get their palm oil from. In fact, brands were getting their palm oil from 24 of the 25 companies (the other one wasn’t producing palm oil yet). 12 brands – including the makers of Kit-Kat, Colgate toothpaste, Johnson’s Baby Lotion, Dove, Doritos, Kellogg’s Pop Tarts, Ritz crackers, M&M’s and Head & Shoulders – had at least 20 of these dirty growers in their supply chains. The time is up for forest-destroying products and producers. If big brands want our business, they need to earn it. If they promise something important – and protecting rainforests is super important – then they need to keep that promise. So starting today, we’re going to be calling out the biggest brands and demanding that they get with the programme. That means only buying palm oil from companies that can prove they aren’t destroying rainforests – and cutting off Wilmar, the rogue trader selling them this dirty palm oil. It’s up to us to make this happen. Are you in?